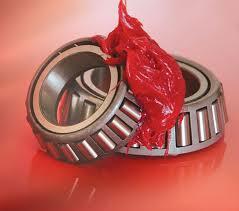 High-temperature applications require specialized lubricants that are both safe and effective. When choosing a lubricant for these applications, look to LUBRIPLATE Synthetic, NSF/H1 Registered High-Temperature Lubricants. An Exceptionally High Flash Point for Superior Fire Protection. A High Viscosity Index which delivers high temperature application stability. Readily Biodegradable according to OECD 301F. Other Hydraulic Fluids – It is compatible with hydrocarbon-based hydraulic fluids. As with any fluid conversion, recognized industry procedures including system cleanup and flushing should be followed. Elastomers – Suitable for use with many elastomeric materials used in seals and gaskets. Compatible elastomers are: Viton, Kalrez, Silicone, Polysulfide, EPR, Butyl Rubber, Buna N, Fluoraz, EPDM, Natural Black Rubber, Natural Red Rubber and Aflas. Plastics – Compatibility should be assessed for any plastic components (such as reservoir sight glasses) exposed to a hydraulic fluid. Paints – Ester based fluids show some solvency for common oil-based paints but minimal solvency for many epoxy-based paints. LUBRIPLATE SYNXTREME HT max grease provides high temperature capability and extended lubrication intervals. LUBRIPLATE Brand multi-purpose greases specifically LUBRIPLATE LTR-2 and No. 1444 which protect equipment by sealing out dust, dirt and other airborne contaminants thereby significantly reducing bearing wear. Also, both are very water resistant which protects against rust and corrosion. LTR-2 is red colored which makes it very visible. These products are mostly used in Africa. They are specifically formulated for heavy-duty construction and mining equipment. Excellent for slow to moderate speed bearings and chains that are subjected to heat, steam and water. 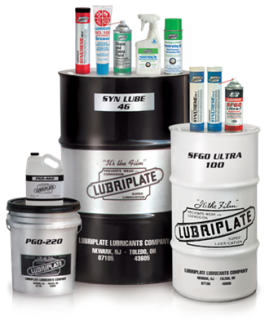 Lubriplate’s lubricants have multiple application uses which reduces lubricant inventory and saves money. Their products comply with the Original Equipment Manufacturer’s (OEM) generic lubricant specifications.